We offer a full range of property management services tailored to you as an investor, homeowner, or landlord. We have an extensive portfolio of single family homes, townhouses, condos, and apartments in the Southwest Dallas area. Why Should You Use Premier Properties Realtors? We are always aware of the current market conditions. This allows us to rent your property at its highest value. We minimize your rent loss by advertising a vacant property daily until it is rented. We use a broad range of advertising media, including signs, MLS, newspaper classifieds and our webpage. We are members of the local board, NARPM (National Association of Residential Property Managers), WCR (Women’s Council of Realtors), Chamber of Commerce and we work closely with all local realtors. All vacant listings are shared with each of these contacts. We do a thorough credit and reference check before the lease is signed. This includes checking history with the credit bureau, verifying employment, and checking all appropriate references including past landlords. Premier Properties keeps abreast of all key lock law changes. We are maintenance experts. Since we deal this this daily, we know what repairs should cost and how long they should take to complete. Maintenance work is controlled and supervised. Because of the large volume of work we give local firms, we have the necessary recourse to correct poor performance. We help avoid costly repairs through routine preventative maintenance inspections. 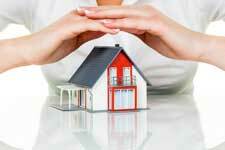 We protect value of your investments by maintaining your property at current neighborhood standards. Our convenience monthly statements provide you with a full, itemized record of all transactions. Our end of the year statements simplifies the job of tax preparation, for you and your accountant. Selling to your current tenant frequently reduces our cost of the sale. These savings can be passed on to you. In addition, the sale required repair work requested by a current tenant is kept to a minimum. All rent is due on the 1st of each month and is considered late if received after the 4th of the month. Late notices are sent on the 5th and removal proceedings are initiated if the tenant does not make immediate arrangements for rent payment. Late rents are subject to late fees and penalties. Our monthly management fee is payable when the rent payment is received. It is automatically deducted from your account at the time the rent payment is posted. However, since one of our jobs is keeping your property occupied, we will not take our management fee as long as your property remains vacant.